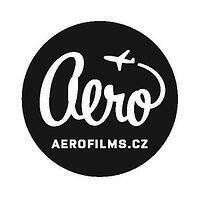 Aerofilms is a Czech film distributor to the three largest art-house cinemas in Prague: Bio Oko, Aero and Svetozor. Prague College School of Art & Design maintains a strong relationship with the company. Focusing on attractive, high-quality films and documentaries, Aerofilms exploits theatrical, video (including Video on Demand) and TV rights in the territories of the Czech and Slovak Republics. The Aerofilms lineup is open to productions from any territory of the world, and is not limited to any date of production.